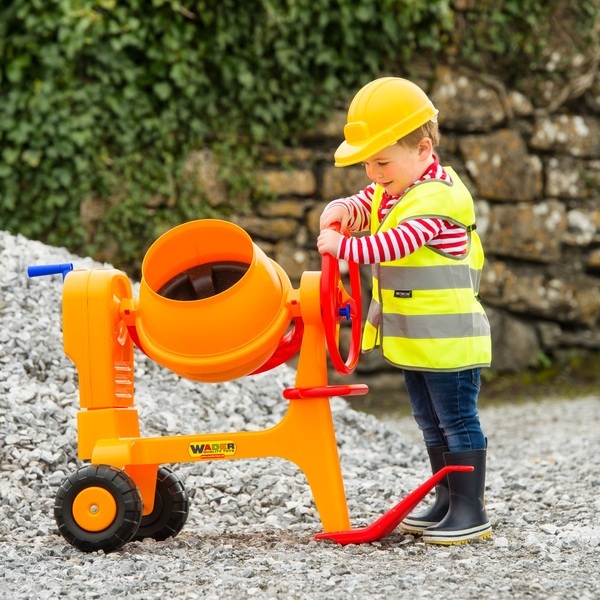 The Wader Cement Mixer with Hitch, is perfect for the small builder who would like to build. Bring the construction site to your garden with this realistic working cement mixer. This cement mixer is rugged and durable, which can be turned by hand to give a realistic effect.